Alegria Gardens Reception Hall opened its doors initially in 2008 with the sole objective of offering all our clients a unique, original, and a great space to have your special event. From wedding ceremonies to graduation parties to baby showers, our party venue has a special atmosphere that brings a feeling of being in a different city. Drawing inspiration from Paris, we have created a space that is magical and will give your event a rare look and feel. Our team of party planners will work with you to incorporate your ideas and combined with our expertise, we will put together a finished event that is both inspired by you and your event and has a professional appearance, from the decorations to the food, to the music. Our reception hall is primarily used as a wedding venue, offering couples an exclusive space to make their wedding beautiful, romantic, and memorable. With areas that are great for photography and more, the space has everything you need to get ready for your big day. We also offer the space to our guests to use as they please, for whatever event they have on the calendar. No event is too large for Alegria Gardens. To learn more about what we offer for each type of event, click here. Catering, cake, the limo, music, and photography, our party packages leave nothing out. Call today to make a reservation. 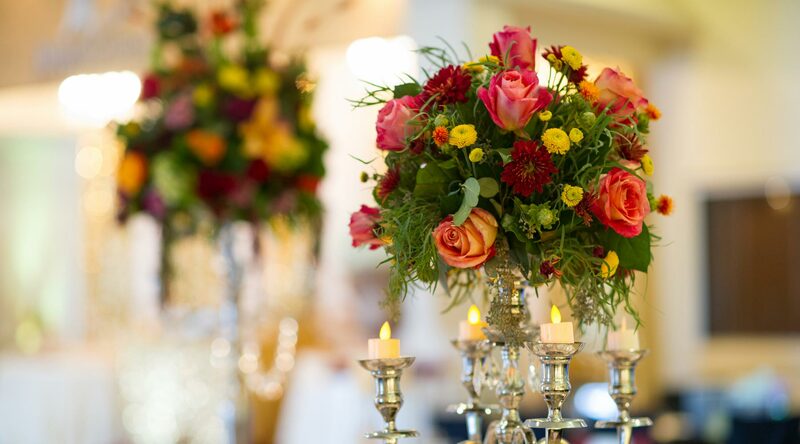 Adopting a decoration theme from France, Alegria Gardens Reception Hall is a small piece of Paris, in Houston. The paintings that decorate our majestic space create a unique atmosphere. Our entire team is highly qualified to organize diverse events like, weddings, quinceaneras, graduations, ceremonies, and more. At Alegria Gardens Reception Hall our compromise is to bring you the best service in every aspect.